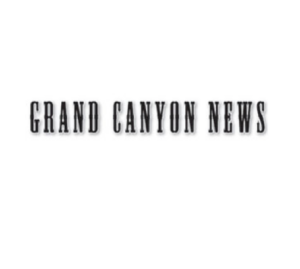 The Grand Canyon School governing board took steps at its Aug. 15 meeting to bring high-speed internet to the school. A lack of internet bandwidth at the school has led to several challenges over the years, including bottlenecks with annual state testing and inability to send large documents through email. The school applied last year to be considered for an E-rate grant, in which the federal government provides funding for rural schools and libraries to receive high-speed fiber internet connections. The school’s application has been approved, but there has been no word on how much money would be received or when construction would start. It’s that time of year again – teachers are in high gear, children are groaning and parents are secretly rejoicing. That’s right, it’s back-to-school time. The new school year begins Aug. 1 and that means school registration is right around the corner. Registration for new and returning students will be held from 9 a.m. to 5:30 p.m. June 25-26 at Tusayan Town Hall and June 27-28 at the school’s multipurpose room. Grand Canyon School hosted STEAM Family Night March 1 to educate students and their families about science, technology, engineering, art and math. The event was also a fundraiser for the senior class and Grand Canyon Youth – volunteers made fresh native tacos and desserts were donated. What a wonderful time of year! The holiday season is upon Grand Canyon School and all its inhabitants — students, teachers, paraprofessionals, office and maintenance staff. The elementary school is donned with garland and wreaths, staff members are sneaking gifts to their Secret Santas, the high school is busy studying for final exams and our youngsters are buzzing with excitement for Santa and parties. And if you haven’t seen the tree in our newly decorated library, it is really quite stunning. It has been a productive year here with many reasons to celebrate. Grand Canyon students participated in the school’s annual turkey trot for a chance to win a Thanksgiving bird and pumpkin pie Dec. 16. First place winners in every age group were awarded a turkey, while second place winners were given a pumpkin pie. Grand Canyon School held a Title 1 finding meeting Oct. 10 to discuss what the district is doing to narrow the education gap in the community. Title 1 funding is part of the Elementary and Secondary Education Act of 1965. Title 1 provides financial assistance to schools with high numbers or high percentages of children from low-income families to help ensure that all children have the same opportunities to meet education standards set forth by the states. Health aide Alejandra Flores and administrative assistant Rosa Velazquez cover the back-to-school basics. 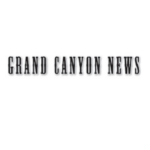 Grand Canyon School has passed its reaccreditation review with flying colors, said Principal Tom Rowland. AdvancED, a non-profit organization that conducts on-site reviews of k-12 school districts, pored over hundreds of documents and performed a site visit April 24 before granting Grand Canyon School full accreditation. Two years ago, however, the story was different. Lacking a complete curriculum and suffering from educator turnover, Grand Canyon didn’t pass the organization’s accreditation standards.